The unit is used for a fast and uncomplicated installation on telephone lines whenever time is limited and the room can only be entered once. It stands for continuous monitoring of telephone lines whilst there is no need for a fixed connection directly into the wires. Just clip the clamp over the telephone wires and the conversation of both parties canl be heard via the supplied headphones. 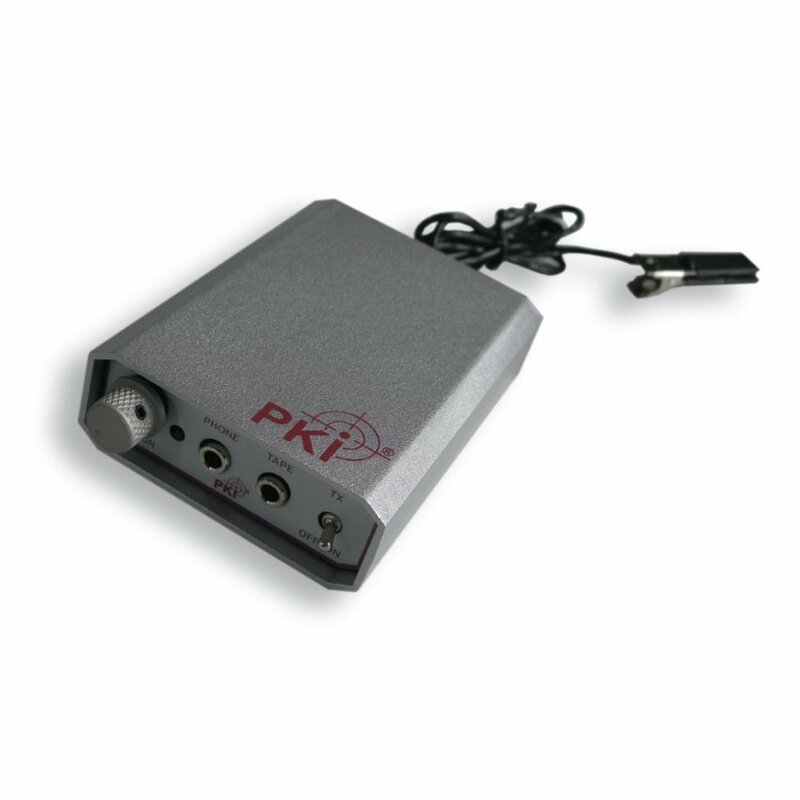 Additionally the PKI 2355 provides a radio transmitter within the UHF range. Just by switching this on, the full information and the complete conversations will be transferred wirelessly to a corresponding receiver. Due to the high output power of the integrated transmitter a range of several hundred meters can be achieved (depending on surrounding conditions). Quick and easy installation by just placing the clip over the telephone line and switch on transmitter.